The LVSERVOMTR is a low-voltage 3-ph synchronous permanent magnet servo motor with sinusoidal back EMF. 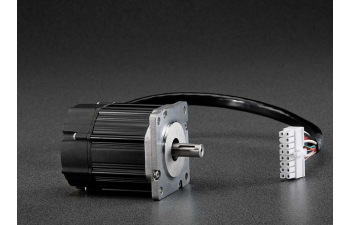 Includes a MOLEX wiring connector to break out the phases and encoder signals for use with standard connectors. Primarily to be used for InstaSPIN-FOC, InstaSPIN-MOTION , and DesignDRIVE evaluation. This is the same motor included in 2MTR-DYNO.